While there are a number of factors that determine what mortgage interest rate you’ll qualify for, assuming you can indeed qualify for a mortgage, perhaps the most important one is credit score. Why? Well, for one, a credit score can make or break you entirely. If your score isn’t at a certain level, you may be barred from home loan financing, regardless of your stellar income, awesome job, and astronomical asset situation. In other words, even if you have $1 million in the bank and a six-figure salary, a low credit score can completely bar you from certain popular home loan programs. For example, you need a minimum FICO score of 580 to get an FHA loan with just 3.5% down, and a minimum 620 score to get a loan backed by Fannie Mae or Freddie Mac. These three entities account for the overwhelming majority of mortgages originated today, so if your score is below those thresholds, you severely narrow your options. 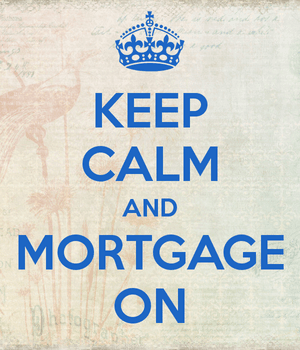 Even if you are able to obtain mortgage financing, you may be limited as far as what you can get your hands on. In other words, your max loan-to-value ratio may be reduced if your credit score is below average, and you may only qualify for a conforming mortgage versus a jumbo loan. And even then, you’ll probably be stuck with a mortgage rate that is well above the market average, which surely isn’t good news. Now let’s take a look at an example of what you might pay for a 30-year fixed-rate mortgage based on credit score, all other things being equal. As you can see, your mortgage payment could be an extra $100 each month if you happen to have a mediocre credit score. Not even a bad credit score, just mediocre folks. This is why it’s imperative to check your scores and manage your credit wisely before you begin shopping for a mortgage. Many other mortgage pricing factors may be out of your hands, such as down payment and property type, as they can’t really be manipulated. But there’s no excuse for a poor credit score. If it’s not in good shape, it’s nobody’s fault but your own. If you plan on applying for a mortgage anytime in the near future, your first step would be to avoid applying for any new credit, as doing so can lower your score. I have proven this myself. Along with that, it’s advisable to keep existing credit card balances low, and even pay them down some, assuming it won’t affect the assets you have set aside for the mortgage. Finally, be sure to make all payments on time, each and every month. Doing so will ensure your credit score remains in good health. It’s not really that complicated, it just takes discipline. And as a rule of thumb, it’s also wise to pull your credit report several months before you apply for a mortgage to ensure your credit scores are where they should be. If they aren’t, it’ll take time to whip them into shape! Read more: What credit score is needed for a mortgage?